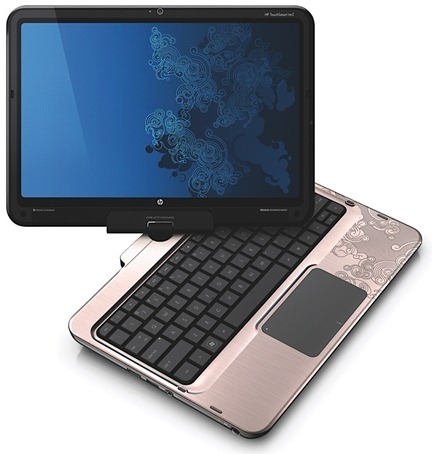 HP today has announced TouchSmart tm2, the much awaited follow up to TX2 in their convertible tablet PC lineup. The TouchSmart tm2 is going to be powered by Intel Core 2 Duo processor with monstrous 9 hours of battery life off its standard 6-cell battery. The duo capacitive multitouch touchscreen is compatible to work with both fingers and pen, oh and it will ship with Windows 7 as pre-installed OS. Best of all, like all the new HP notebooks, the TouchSmart tm2 will have aluminum build which is slimmer, lighter and stronger than its predecessor the tx2. TouchSmart tm2 will feature the new version of HP TouchSmart software which includes touch friendly version of Netflix and an optional 3D desktop for all your touch goodness on Windows 7. You can see it in action in the video embedded below. iSlate is the New Apple Tablet? You can follow me on twitter or join our facebook fanpage to keep yourself updated on all the latest from Windows based tablets, notebooks and netbooks. Lot of discussion today about MS announcing their fabled Courier tablet at CES. But this seems more likely. In which case a lot of people are going to be disappointed.